Spending time in a lush garden is a great antidote to too many hours logged staring at a bright computer screen. But, that doesn't mean you have to ditch technology while tending that garden. So before you put on your gardening gloves, take a look at these useful garden-related tech tools and apps. For starters, check out ways you can say goodbye to daily watering rituals. 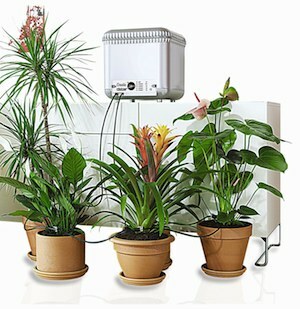 Oasis makes many different automatic watering products, depending on your needs. They have a full-fledged automated watering system, which includes a large tank and a timer that you can set to four different watering programs. And considering you can reduce your water worries from every day to every month or so, it’s a good deal. Even better, it operates on gravity and only requires a 9-volt battery. Price: $65 on Amazon . This modern miracle of a flowerpot takes care of everything for you, from fertilizer to watering, so you can literally just set it up and watch it blossom. 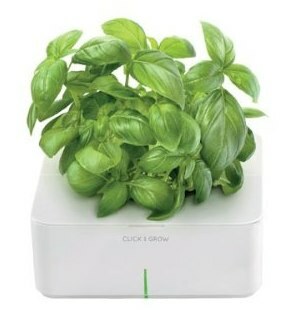 This means you can successfully grow something even if your thumb’s as green as a Smurfs. We've tested this product ourselves and found it worked very well. Highly recommended. The initial product comes with a Thyme grower kit. Additional kits include many other herbs, flower and vegetables such as mini tomatoes and chili peppers. Price: Starter kit, $65 on Amazon . Additional kits, $20-$25. If you're new to gardening a pH soil sensor can come in extremely handy. You can buy individual testers that you throw away once you've used them, or you can invest in one that will last you through many seasons. 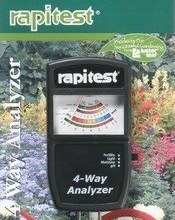 The Rapitest analyzer is one such reusable tester. It lets you measure many important variables like soil pH (different plants require different levels), moisture levels and amount of sunlight. 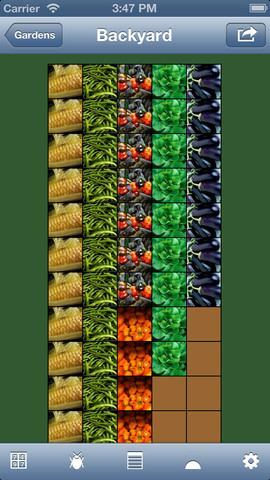 It's a great tool for taking the guesswork out of gardening for novices. Price: $34 on Amazon . 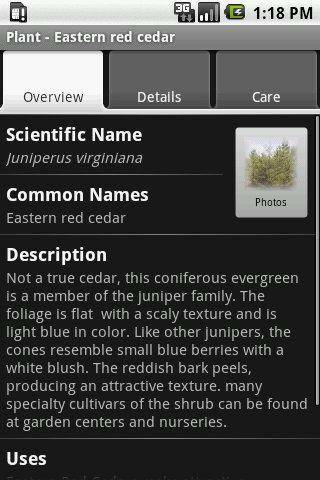 By Stevenson Software, this app works as a massive reference guide to every tree, shrub, bush and assorted flora you can possibly imagine. Even if you’d rather look at plants than care for them, it’s a helpful resource with an especially advanced search feature. If you’ve ever stopped to pause at a beautiful flower but couldn’t figure out what it was, this app is for you. If you already know exactly what you want to plant (thanks to the Landscaper’s Companion) you can use the Garden Tracker app to make sure you do everything needed on time. The app lets you make a digital recreation of your garden, and then it plugs in all the variables and tells you ideal spacing, the right temperature you should keep plants at, and other tricks of the trade. No matter what kind of tech you choose to improve your gardening skills, it’s most important to find tools that make your experience better instead of detracting from it. You don’t want to get push notifications every time a petal falls off your roses, but it’s also a shame to see carrots wither away due to problems that can be solved with a little tech help. The items you suggest don’t address the needs of the homeowner in relation to the technology that is available today. What I have been searching for is a system that addresses my outdoor watering needs in the summer. This would allow me to control watering through drip irrigation from my office or cell phone. I would be able to turn the system on and off (“off” if radar showed storms coming) for containers and my vegetables. The watering would be controlled through valves or a controller that was connected via wifi to my home network system. Wow that would be sweet.